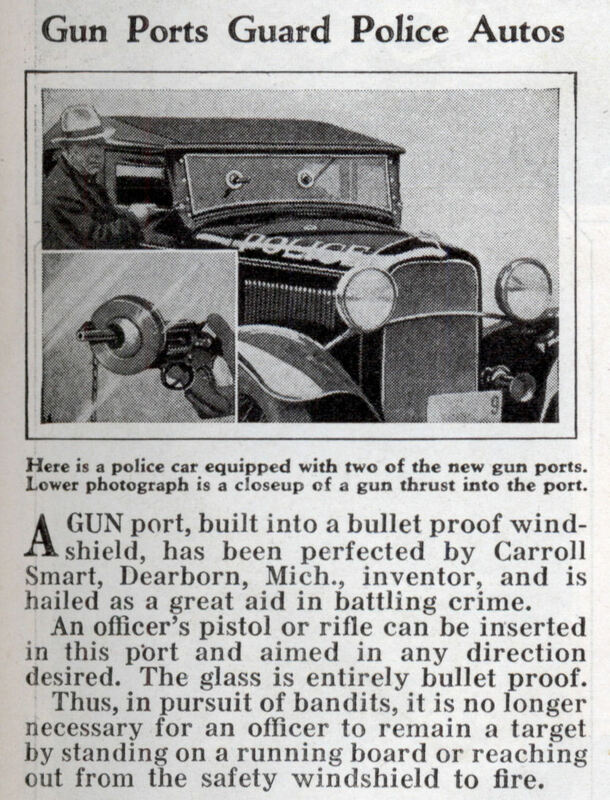 A GUN port, built into a bullet proof windshield, has been perfected by Carroll Smart, Dearborn, Mich., inventor, and is hailed as a great aid in battling crime. An officer’s pistol or rifle can be inserted in this port and aimed in any direction desired. The glass is entirely bullet proof. 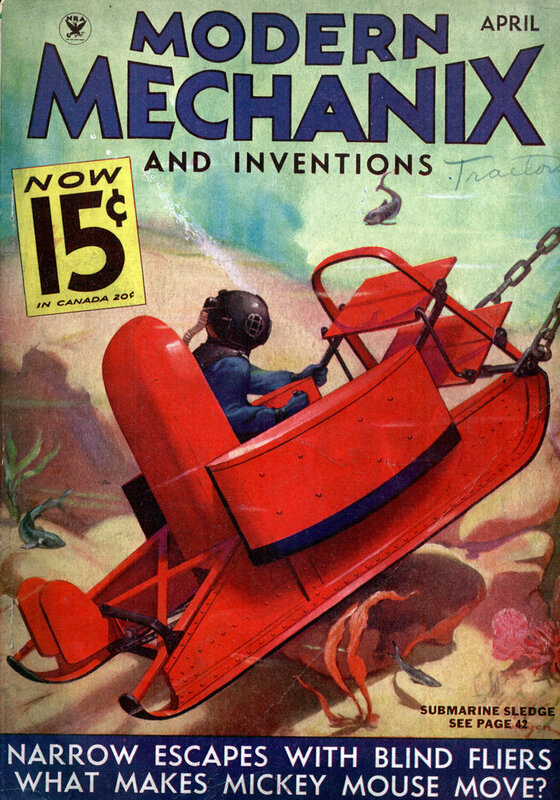 Thus, in pursuit of bandits, it is no longer necessary for an officer to remain a target by standing on a running board or reaching out from the safety windshield to fire.